Skull & Shackles, a stand-alone set for the Pathfinder Card Game from Paizo Publishing, gets reviewed by the experts over at Play Board Games. 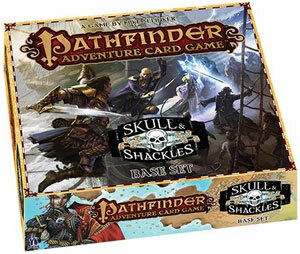 Skull and Shackles is the latest edition of the Pathfinder Adventure Card Game. It has a pirate theme and adds ships, new classes and more scenarios.